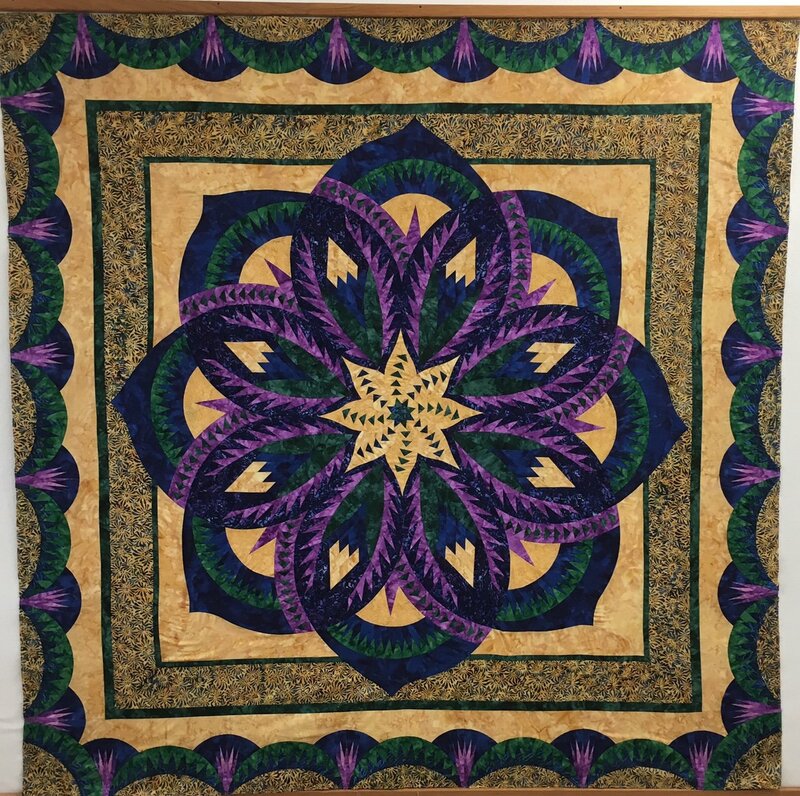 Vintage Rose is Judy Niemeyer of Quiltworx.com's fourth Technique of the Month (TOM) quilt. 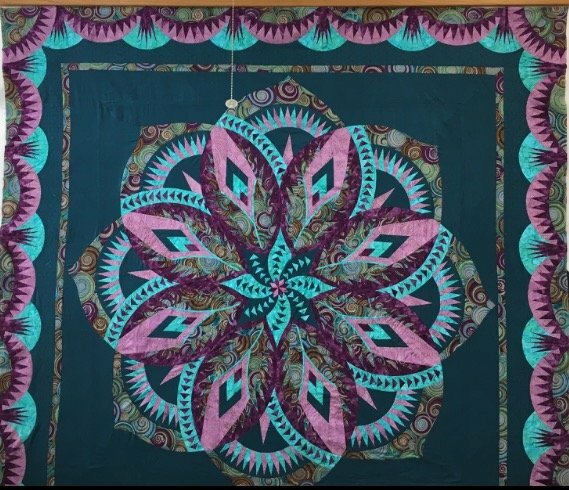 Judy's technique of the month patterns incorporate a wide range of Judy's techniques and familiarize quilters with those techniques in a manner that will allow them to pick up any of Judy's patterns and successfully complete them after they have completed one of the TOM patterns. 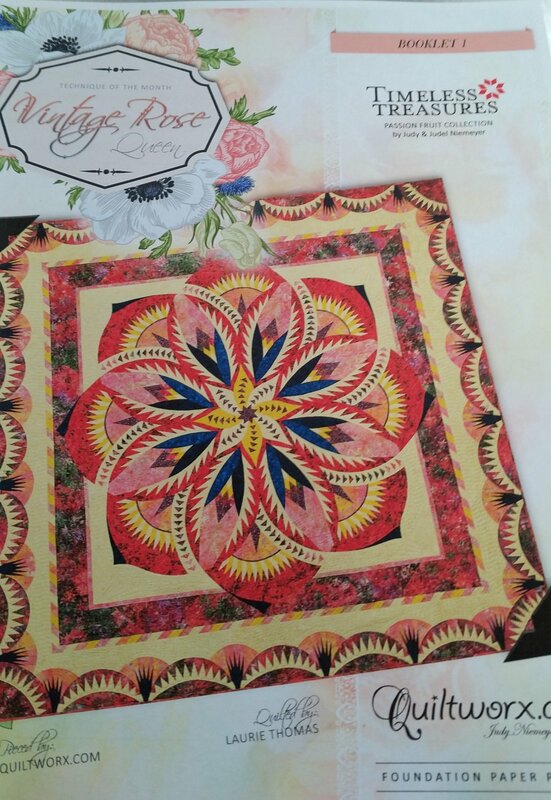 The Vintage Rose Queen quilt pattern includes complete instructions and pre-printed foundation papers to make a 96" x 96" quilt. If you want to make a smaller Vintage Rose quilt - check out the Vintage Rose Wall Quilt (74" x 74") pattern sold separately. This is a pre-order item. 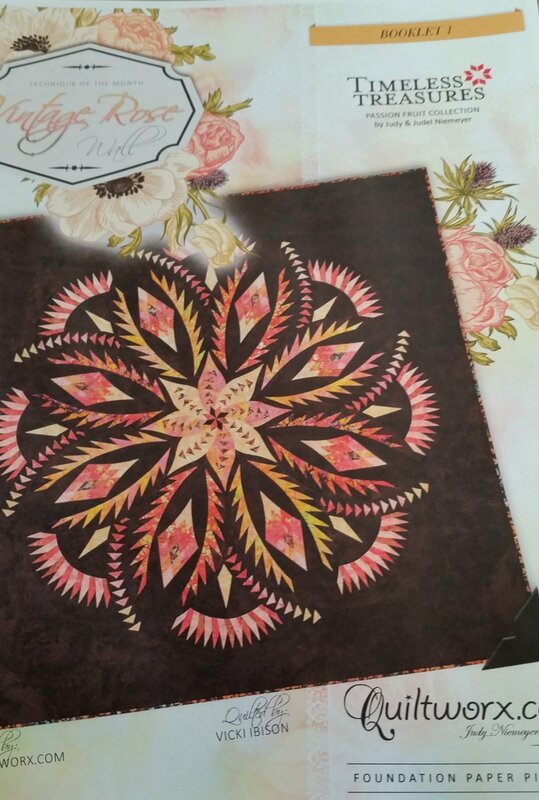 The Vintage Rose pattern will not be published until January 2017. Shops had to submit their preorders so as to receive patterns when they are first published. Additional patterns will not be available until after the second printing - thus a small time delay if shops run out the first go around. NOTE: You have to decide upfront if you want to do the Queen or Wall version as they are completely separate patterns. Unlike Glacier Star, Mariners Compass and Paradise in Blooms, you cannot decide to add the queen extension once started. We will be posting several kit versions of this unique pattern as time gets closer to publication. Of course, we love to pull custom kits for our customers at no extra charge!